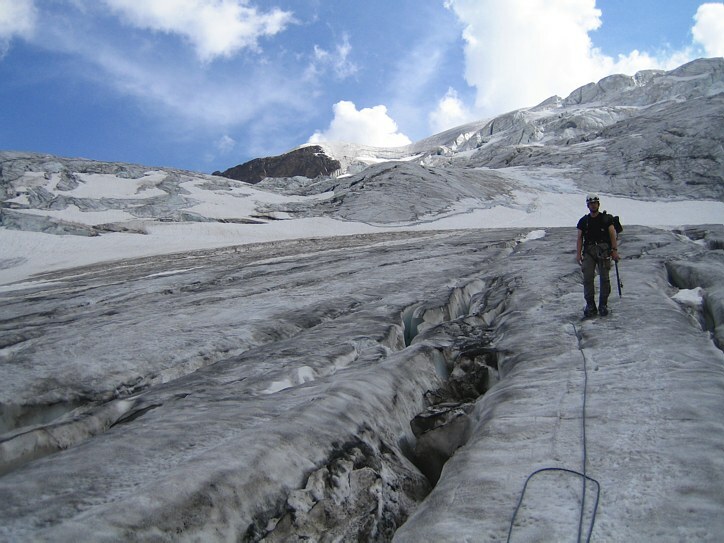 Claus-Dieter, Rainer, and I went climbing for 2,5 days in the Ortler-Cevedale group of the Italian Alps. The area is located near the city of Bornio in the Stelvio Natural Park. It has seen fierce battles between Italy and Austria during World War I. A lot of evidence of that can be seen: shells and barbed wire that now emerge from the glaciers as well as planks from sheds. We even saw an old army jacket... All this adds an eery feeling to the place.